As experienced personal injury attorneys in Utah, we've gotten many questions on a wide variety of topics. We've collected some of the main ones below. If you have a question that isn't answered here, please contact us. Question 1. Do I need an attorney? When you or your loved one suffer an injury as the result of somebody else's action, most people would expect that the at-fault person would compensate you for your injury. In fact, most of us plan ahead for this very situation and we purchase liability insurance that we expect will pay others for our mistakes. Unfortunately, insurance companies rarely do the right thing and offer a fair settlement. Instead, insurance companies profit from under paying injury victims. Insurance companies and their lawyers also know the governing law backwards and forwards, and they know that most non-attorneys have no idea what legal rights and remedies they possess. An experienced personal injury attorney knows how to build your case, how to negotiate your case with an insurance company, and, if necessary, how to take your case to trial. While it is possible to negotiate your claim with an insurance company yourself, insurance companies will typically do everything they can to take advantage of you and to effect the lowest possible settlement, while attempting to elicit statements from you that will damage your position if you ultimately decide to hire an attorney. An attorney is in a good position to help you obtain a favorable settlement that, even with the attorney fee deducted, significantly exceeds what you can obtain on your own. Question 2. How much does a personal injury attorney cost? Personal injury attorneys almost always accept cases on a contingent fee (or "contingency fee") basis, meaning that they if they win they receive a percentage of the award as their fee. If they lose, they do not receive an attorney fee. The amount of the contingent fee your attorney will charge will vary somewhat from state to state. 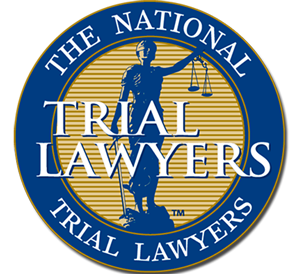 In most states, the attorney fee will be between one third and 40% of a personal injury award. Question 3. What are No Fault Insurance Benefits? Personal Injury Protection and No Fault coverage, PIP, also called MedPay for motorcycles, pays for medical expenses you and your passengers incur because of injury in a motor vehicle accident, regardless of fault. Coverage amounts available vary from company to company. Utah law mandates carrying no less than $3,000.00 per person, I suggest $10,000 per person unless you have no health insurance in which case I recommend $100,000 per person. This coverage also pays lost wages (85% of your loss up to a maximum of $250.00 per week) and loss of household services (up to $20.00 per day up to $140.00 per week). Our firm assists our clients in obtaining these benefits for no additional charge. Contact our attorney if you have questions about No Fault Benefits. Question 4. 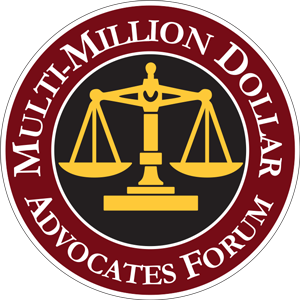 Is Small Claims Court the Answer? Many times people ask if they can sue the insurance company or at fault party in small claims court. You should always talk with an experienced attorney before making this decision. If you file in small claims court on the property damage claim, you may later be prevented from pursuing your claim for personal injuries in a separate lawsuit. Because of the risk to a later personal injury case we always advise against this course of action. Also, if you consider the grief the insurance company is giving you over you car, you can only imagine what it is going to do when it comes to your injuries! However, if you still want to proceed, you should understand the process. If you are unable to agree with the insurance company or other driver, and you do not have collision coverage, you can sue in small claims court. You have to sue the driver of the other car not the insurance company. Small claims courts are designed to handle cases where the amount of the dispute is $10,000.00 or less. There are small claims courts located throughout the State of Utah and all along the Wasatch Front. Information about the forms to be used and the filing fee can be obtained by calling the court directly or by linking to the court website. http://www.utcourts.gov/howto/smallclaims/. If you have other questsions abou the process, feel free to contact our attorney. Question 5. How Much Is My Personal Injury Case Worth? The experience and dedication of your personal injury lawyer. FACTS: The facts of your case will answer the two all-important questions of a personal injury case: who was at fault, and what are your damages? Before you can expect to successfully pursue a personal injury claim, there must be another party who is responsible for your injury, and you must have damages (losses) for which you can be compensated. EVIDENCE: Of course, just having the facts on your side isn’t enough. You and your personal injury lawyer have to prove them in a court of law—or at least convince the insurance company’s attorney that you will be able to do so. That means that your case is very reliant on the availability of detailed police reports, your attorney's ability to craft strong discovery documents and take depositions, and the availability of witnesses and physical evidence. YOUR PERSONAL INJURY LAWYER: The quality and commitment of your attorney is critical to a successful personal injury claim. That’s because the facts and evidence only have an impact when they’re used appropriately by your attorney. Your lawyer will have to gather evidence, interview witnesses, negotiate with the insurance company, calculate your damages, and much more. A lawyer who knows the workings of personal injury litigation and how the insurance companies will act and react is in a much stronger position to represent you effectively. Your lawyer has to prove that another party was responsible for your injury, and prove your damages—or has to convince the insurance company’s attorney that if your case went to trial, he would prove those things. Without that ability and willingness, even favorable facts and evidence don’t translate to fair compensation for your injury. Question 6. What are my rights if I have suffered a personal injury? If you’ve been injured through the negligence of another person or a company, you have the right to compensation. The process of collecting that compensation, however, relies on a series of other rights. In Utah, like most states, contingent fee agreements (agreements where the attorney’s compensation is dependent on your recovery) are required to be in writing. That means you should have a written contract with your attorney explaining not only the fee arrangement, but also covering issues like litigation expenses. You’ll have to work with and make decisions with your attorney as your case progresses. For instance, you’ll have to provide information to help your attorney prove liability in your case. You’ll have to make decisions about alternatives to litigation like mediation and binding arbitration. You’ll also have to decide whether and when to settle your case. Although you’re represented by an attorney, and the attorney is the expert on personal injury law, it is your right to make a final decision as to whether or not to accept any settlement offers from the opposing party. However, most people don’t have the background, experience or knowledge necessary to make a good decision about that issue on their own—that’s why it’s so important that you choose your personal injury lawyer carefully. 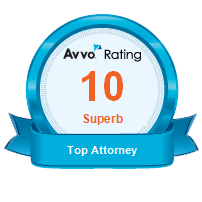 You want to be able to trust and rely on the advice you receive from your attorney. The insurance industry has done a very effective job of blanketing the media with the idea that personal injury claims are frivolous, and are somehow responsible for high insurance rates. That attitude might make you uncomfortable with litigation—and in a sense that’s good. No one should file a frivolous claim or start a law suit just to “get even.” But if you’ve truly been injured, if you’ve suffered physical pain, lost work time, damage to property, increased or unexpected medical expenses and the like, you have a right to be compensated for those losses. You’re not looking to “make money off the insurance company,” but to make up for what you lost because of the accident. That’s what insurance is for. The insurance companies may not want to pay out on claims, but that doesn’t change the nature of their business. They contracted with the person or company responsible for your injury and promised to pay for injuries like yours—and no matter how much bad press they might generate about law suits, you have the right to be compensated for your injuries, to be “made whole” again. In fact, your case may have a positive impact on society. Often litigation forces a manufacturer to remove a dangerous product from the market, or to make changes to increase the safety of the product. Landowners are encouraged to put up fencing or clean up hazardous areas when faced with litigation—and news of that litigation impacts other manufacturers and landowners as well. Our legal system was designed to allow individuals like you to recover for your losses, and to hold companies—even insurance companies—accountable. Exercise Your Personal Injury Rights Now! The sooner you act to protect your rights, the better. In addition to statutes of limitations and other legal bars based on time, there are practical factors that encourage quick action. Witnesses may move or simply find their memories growing less clear over time. Evidence may be lost or destroyed if a personal injury lawyer doesn’t take control of your case and act to preserve it early. Question 7. What should I know if I don't hire an attorney for my personal injury case? Many insurance companies talk to you respectfully, soothingly even, in order to gain your trust and get you to divulge information pertinent to your personal injury claim. Don’t buy the “nice guy” routine! Many insurance companies talk to you respectfully, soothingly even, in order to gain your trust and get you to divulge information pertinent to your personal injury claim. Often, the “nice guy” approach is a ploy to string you along until the statute of limitations runs out on your case or to elicit information from you that they can use to build a case against you. Insurance companies often make oral promises they don’t keep. For instance, the insurance adjuster might say something like, “Allow us to tape record your recollection of the accident. That way, we can finish paying your claim.” Don’t believe it and never accept any oral promises. Any statements you make to an insurance company could be used against you later. An experienced and reputable personal injury lawyer will properly advise you and communicate directly with the insurance company so you don’t have to. There is no such thing as “off the record” with an insurance company. Anything you say to an insurance adjuster can and will be used against you. Even the smallest, most casual comment can reduce your compensation. Most insurance companies have unlimited resources. Most insurance companies have a large and experienced staff of attorneys who know every intricacy of personal injury cases. They will find the smallest loophole or detail in order to weaken your claim. The insurance company also has a staff of investigators and access to databases of medical information. You have a giant insurance company with unlimited resources building a case against you. If your insurance company uses a qualified personal injury attorney, shouldn’t you? Negotiating on your own can be a dangerous endeavor. You might think that you can save some money by not hiring an attorney and by negotiating directly with the insurance company. Most of the time, however, by hiring an attorney, you will net more money in your pocket, even after payment of attorney fees. An aggressive lawyer will work to achieve the maximum recovery for your injuries. Your attorney will know the tricks of the insurance trade that could potentially be used to reduce the value of your claim. And, what if you start to negotiate, but are not able to achieve an acceptable settlement? You may have already made negotiating errors that could damage the value of your case. The insurance adjuster’s job is to build a case against you. Insurance companies deny or pay woefully inadequate settlements on claims all the time. They find a way to prove their client was not negligent. They attempt to prove your injuries are not as extensive as you claim. They will do whatever they can, hopefully within the boundaries of the law, to make sure they pay as little as possible or nothing. Insurance companies are only interested in one thing – profit! No matter what you see on television about insurance companies caring for you as a person, take it with a grain of salt. The sole motivation is for an insurance company to take in more premiums that they pay out in personal injury claims. Period. A, experienced personal injury attorney is fully aware of insurance company tactics and will shield you from them as well as aggressively pursue your claim against the defendant and insurance company. Dealing with an insurance company immediately puts you at a disadvantage. They have everything to gain by attempting to pay as little as possible on your claim. However, when you hire a qualified attorney, you have nothing to lose. You will not pay anything unless your lawyer settles your claim for you or prevails at trial. You need aggressiveness and experience on your side. We make it simple for you to get started. You may submit an online free legal evaluation or call now, (801) 333-7300 to speak with an experienced personal injury attorney.